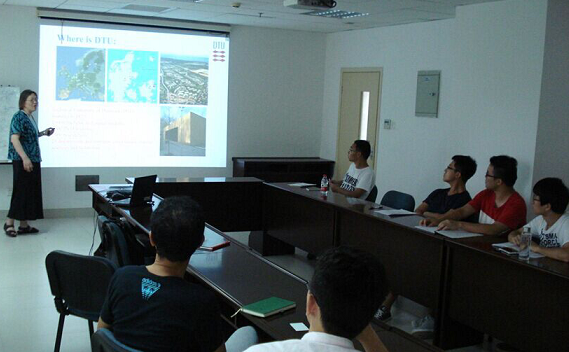 Associate Prof. Qijin CHI from Technical University of Denmark visited our group on 12-16th July. During his stay in IUE, Prof. Qijin CHI gave us a presentation titled "Engineering Nanostructured Material Systems for Enhanced Photoinduced Charge Transfer" and had a seminar with our students and researchers. Prof. Nan ZHU from Dalian Univeristy of Technology visited our group on 13th July and gave us a presentation titled "The study of wearable smart mouthguard biosensors". 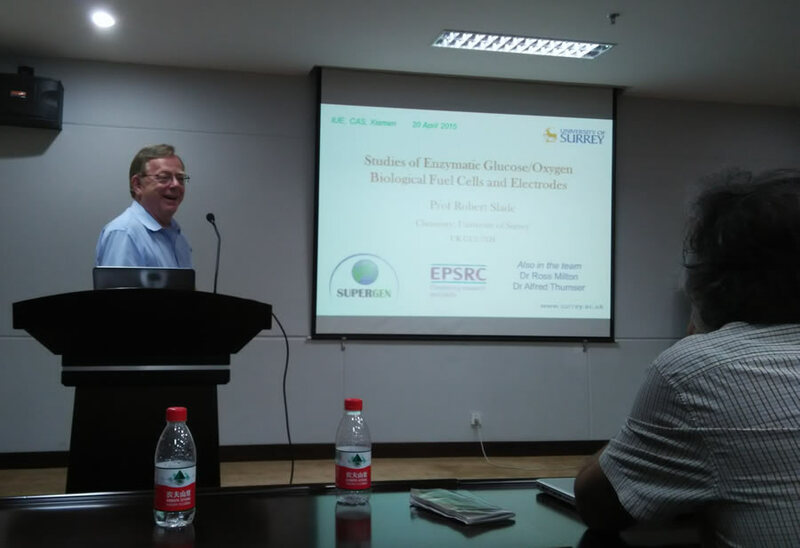 Prof. Xia Huang from Tsinghua University visited our group on 10th June and gave us a presentation showing their series studies on the development on membrane bio-electrochemical reasctor. 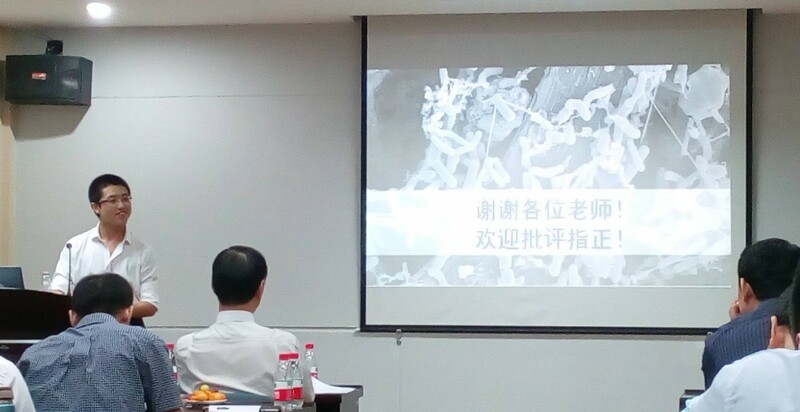 Prof. Shao-An Cheng from Zhejiang University visited our group on 1st March and gave us a presentation showing their studies on the control of electrochemically active biofilm and its application on wastewater treatment. Prof. Chin-Tsan WANG from National I-Lan University visited our group on 25th November and gave us a presentation showing their new findings in microbial fuel cells. 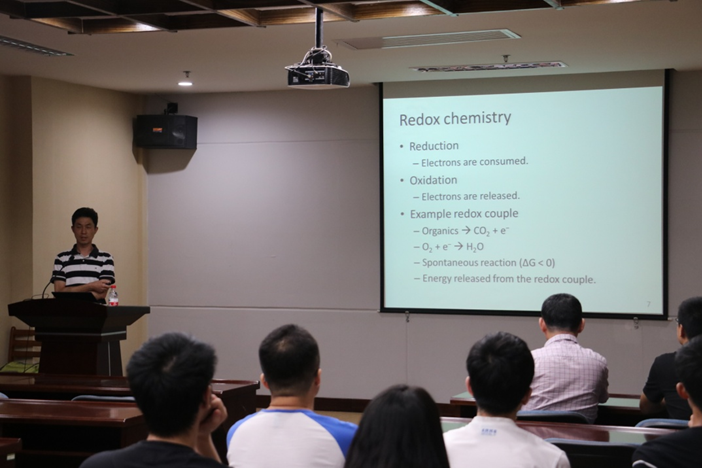 Prof. Hong LIU from Guangzhou University visited our group on 24th November and gave us a presentation focusing on the electrochemical process in oxygen reductive reaction. 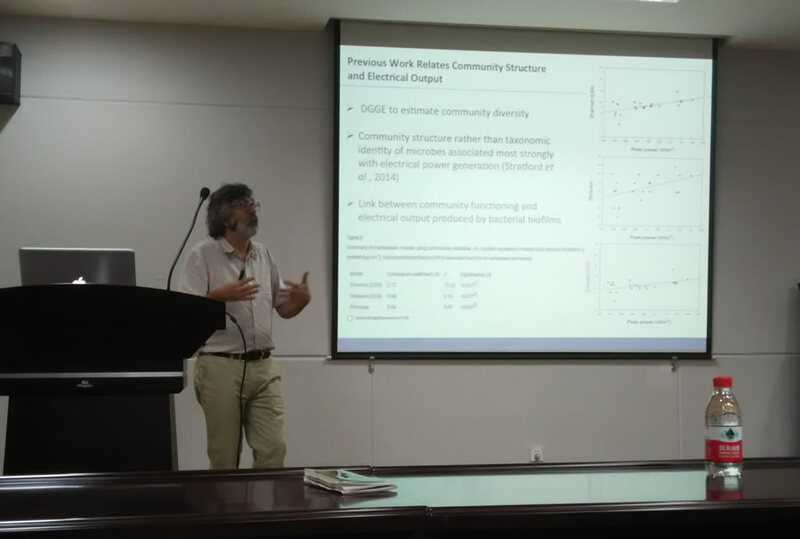 Dr. Younggy Kim from McMaster University (Canada) visited our group on 21st July and gave us a presentation titled "Electrochemistry applications for sustainable water and wastewater treatment". 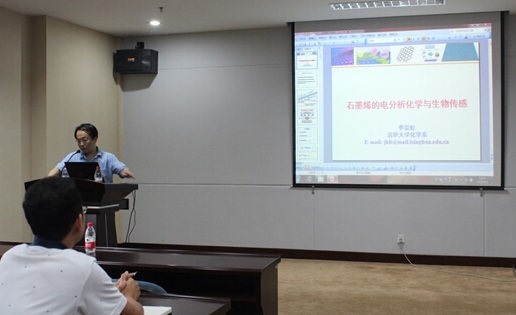 Prof. Xie QUAN visited our institute and group, and he also gave us a wonderful presentation titled "Strategies for application of electrochemical methods in wastewater treatment technology". Prof. Chin-Tsan Wang visited our group to discuss future cooperation with us and also gave us a presentation titled "Flow control in microbial fuel cells". Dr. Jin-Hua Li visited our group to discuss future cooperation with us and also gave us a presentation titled "Interaction between minerals and microorganisms". 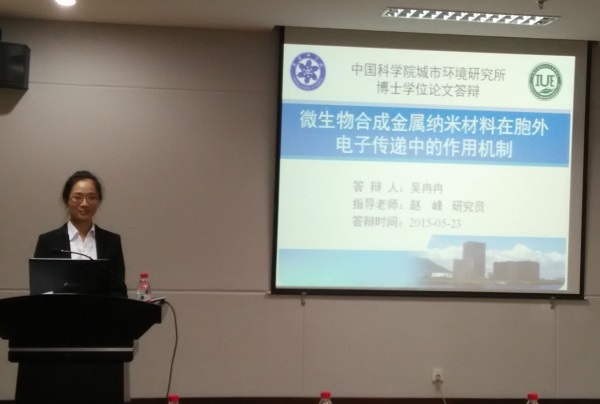 Lu Wang has successfully defended his Ph.D dissertation on 19th Nov, 2015. During 15th to 20th Nov, Dr. Ludmila Chistoserdova visited our group and gave us a presentation titled "Bacterial methane oxidation as a community function: a new perspective on an important environmental process, through omics and microcosm manipulations" on 17th Nov. During her stay, she also had a lot of discussions with the members on extensive issues. 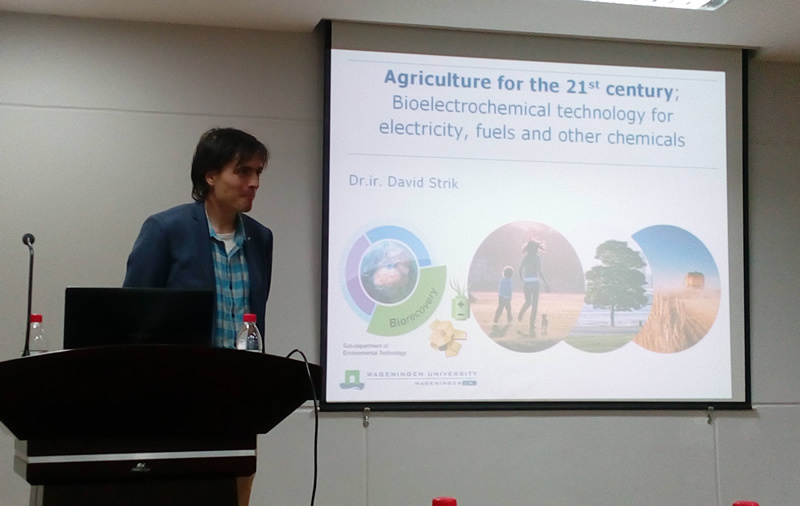 Dr. David Strik visited our group and gave us a presentation titled "Agriculture for the 21st century – Bio(electrochemical)technology for production of electricity, fuels & chemicals". 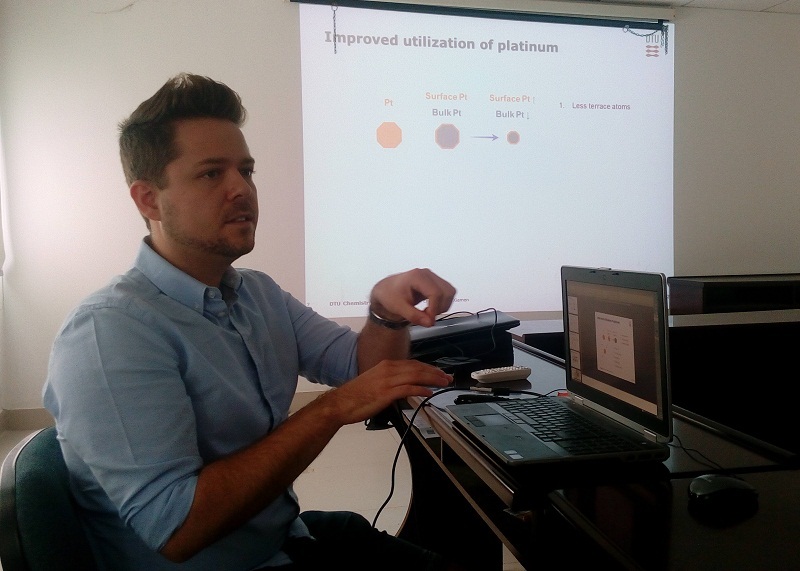 Dr. Christian Engelbrekt visited our group. 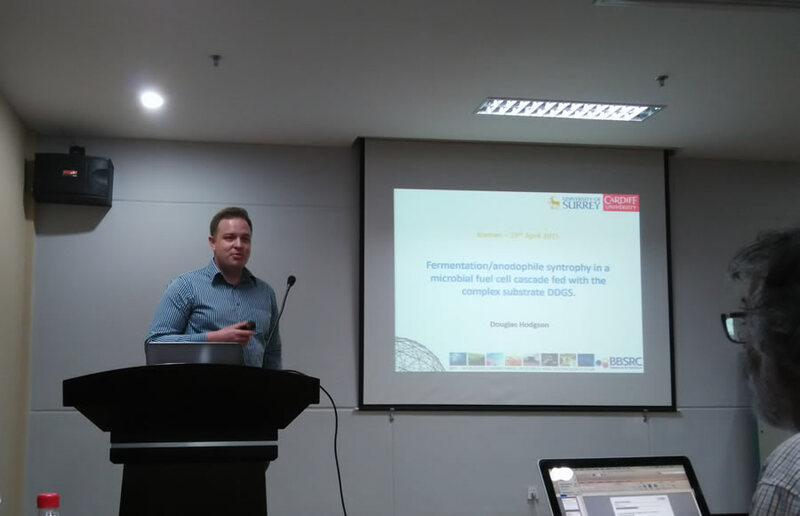 During his stay, he gave us a presentation and introduced his research work in DTU and the country of Denmark. From Aug 18th to 23rd, Associate Prof. Jingdong Zhang visited our group. 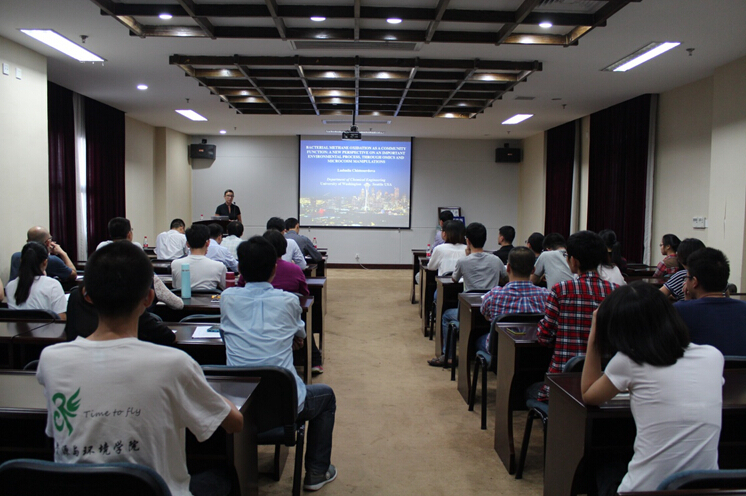 During her stay, she gave us a presentation titled "Development of Bioelectrochemistry at Single Molecular Level". She also have discussion with group members on a wide range of topics. Prof. Jinghong Li from Tsinghua University visited our group and gave us a scientific presentation titled "Electroanalytical chemistry and biological sensing of graphene". Ran-Ran Wu has successfully defended her Ph.D dissertation on 23 May, 2015. Prof.Robert Slade, Prof. Claudio A. Rossa and Dr. Douglas Houdson from University of Surrey (UK) visited our lab and gave us presentations titled "Studies of enzymatic glucose/oxygen biological fuel cells and electrodes", "Analysis of the metabolic functions in the anodic microbial community to predict electricity production in microbial fuel cells" and "Fermentation/anodophile syntrophy in a microbial fuel cell cascade fed with the complex substrate DDGS", respectively.